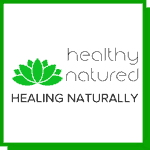 Svadhisthana the Sacral is our second chakra and is closely tied to emotional balance and creativity. 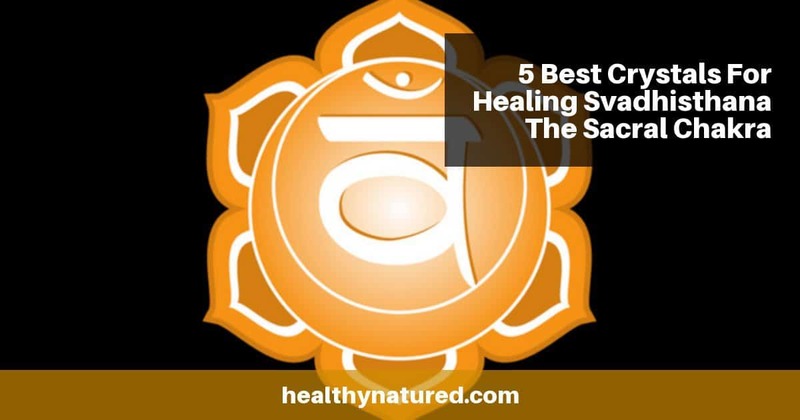 In this article we first look at Svadhisthana, its energy and influence on us and then the best Sacral Chakra Crystals for this energy center. 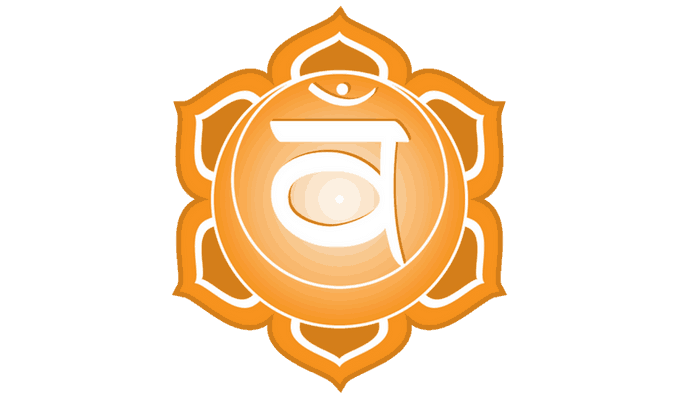 The symbol for Svadhisthana the Sacral Chakra is a simple circle arranged with six lotus petals and the crescent moon. The first symbol, the circle, represents the water element. The crescent moon is a representation of the natural links between the energy of the moon and energy of water. The moon is therefore usually portrayed, through colors symbolizing water, such as silvery or a metallic iridescent orange. The symbolic representation of Svadhisthana shows an unbreakable relationship and energetic bond between the phases of the moon and the fluctuations (ebb and flow) of water (the tides). This ebb and flow energetically and vibrationally represents our physical energy and emotions. Moon symbolism always represents the lunar cycle and is linked to feminine energies i.e. the menstrual cycle. 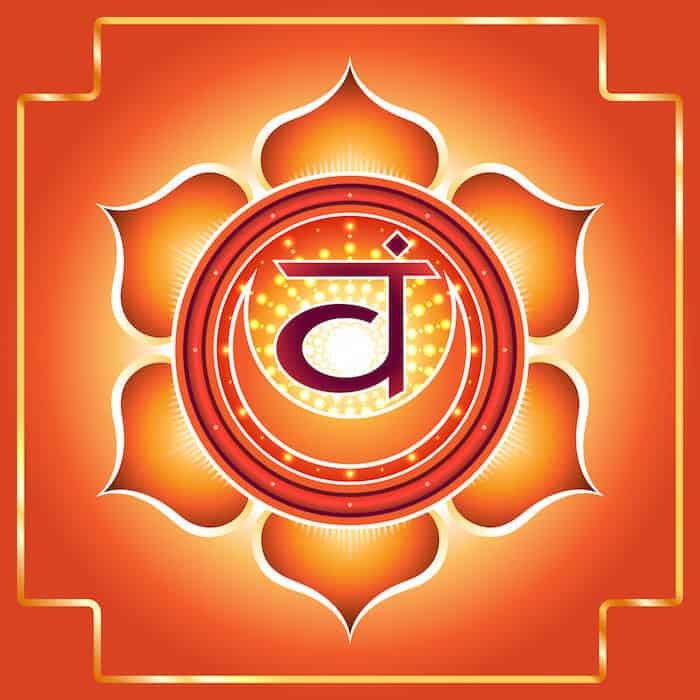 Svadhisthana the Sacral Chakra is the chakra energy link between feminine lunar energies and human physical reproduction and sexual organs (male or female). Svadhisthana is located just below the navel and above Muladhara. It is responsible for utilizing the base survival energies of Muladhara and awakening emotive responses. An open, balanced and aligned Sacral chakra is absolutely necessary if we are to live a balanced, healthy and prosperous life. 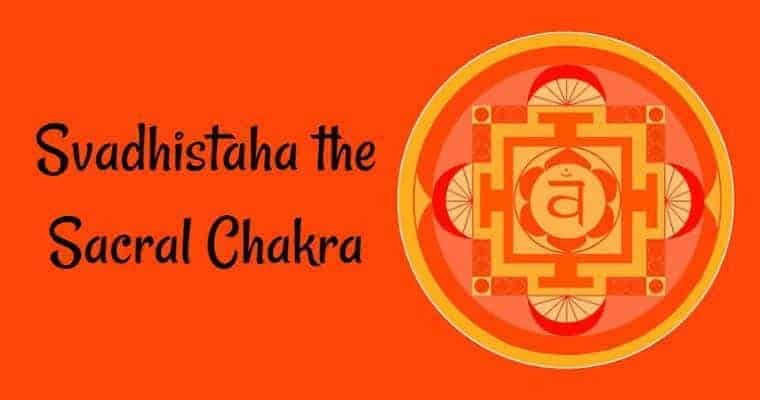 Because Svadhisthana the Sacral chakra is intrinsically linked with emotions and our emotional state it is the chakra that dominates the way we build and form our emotional relationships and connections to others. The Sacral Chakra controls how we express our sexuality and the ways that we experience sensual pleasures. 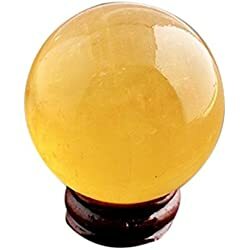 Svadhisthana our Sacral Chakra is responsible for the energies which allow us to form dreams of the future, the things we wish for and the fantasies we create . The health of our Sacral Chakra will determine the health of the dreams, wishes and fantasies we hold and therefore how they impact on our emotional health and well being. It is the chakra which provides the energy that enables us to develop creativity and the energy that determines whether or not we are able to bring these creative gifts into actual reality. Svadhisthana’s energies and vibrations enable us to develop the full spectrum and depths of human emotion. It is the chakra center within our physical and spiritual body associated with all sensation and feeling. Svadhisthana’s energies provide us the motivation for the seeking of pleasure and the energy which enables us to find pleasure from sensory stimulus through sight, touch, taste, or hearing. Opening, clearing and unblocking Svadhisthana allows us to truly feel and experience the world around us. Aligned and balanced Sacral Chakra energy is absolutely vital. It is the important foundation energy which we use to develop a healthy emotional state and balanced feelings. It allows us to find our personal happiness and emotional well-being. A closed Sacral Chakra shuts you off from emotive opportunities and will stifle all creativity. When Svadhisthana is closed or out of alignment you will feel emotionally isolated. This may be emotive numbness and a disconnectedness from emotions or those around you. Those who have closed Sacral chakras may compensate for this and become overly controlling and even abusive. In a similar fashion, having a closed Sacral Chakra is not the only issue we need to be aware of. An overactive Sacral chakra can be just as detrimental. It can lead to us developing mood disorders like depression and even bipolar disorder. If our Sacral chakra is overactive we may feel emotionally needy and be unable to feel a healthy connection to others, leading to our seeking constant reassurance from those around us. This often leads to us pushing others away, while feeling that we are being deserted. 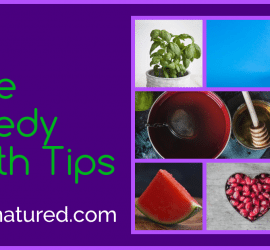 Other common indicators of an overactive Svadhisthana chakra are those people who we know to be usually creative, but have no confidence in their abilities and creative work. They may also be quick to react negatively and be unable to accept criticism. 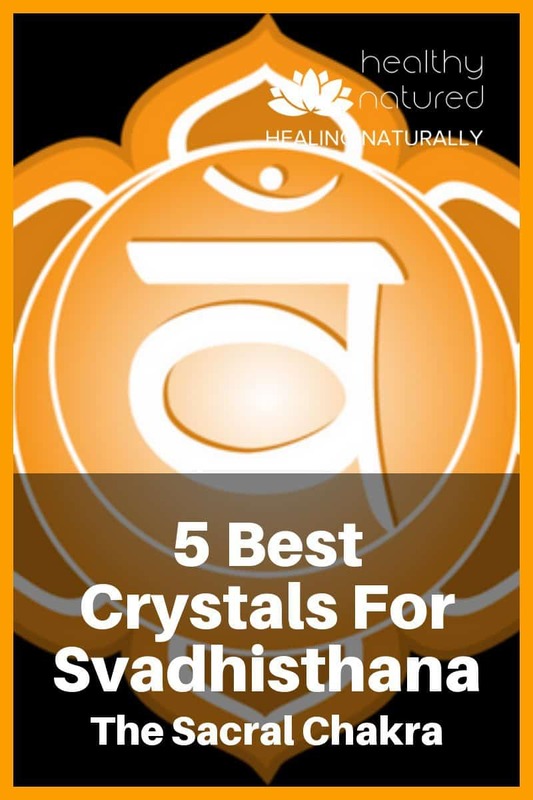 Top 5 Sacral Chakra Crystals For Healing Svadhisthana? 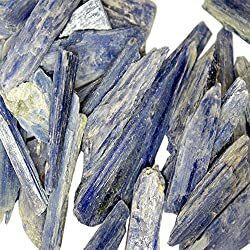 Kyanite is a fantastic stone to open and balance the Sacral Chakra easily, and has the added benefit that it will naturally bring all of our 7 major chakras into alignment. Kyanite comes in a variety of coloration’s, but for Svadhisthana our Sacral Chakra we recommend either the common blue or the less common orange. 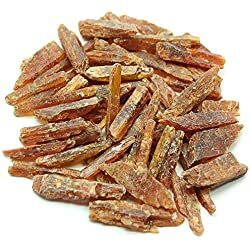 Orange Kyanite is not always easy to source however due to it being the Sacral color it is worth the effort of finding. 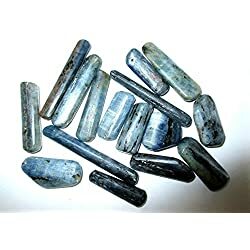 All the Kyanite colors are exceptionally powerful healers because of their vibration frequency which enables the identification of blocks and then the bridging of energy gaps caused from illness, emotional trauma or physical injury. Both Orange and Blue Kyanite have energies that stimulate and also activate any ignored or dormant psychic abilities. Kyanite is a powerful healer for all chakras and quickly brings them all into alignment. It is the crystal I always recommend you start with. After you have aligned all the chakras, you may wish to then use specific Sacral Chakra Crystals for specific identified issues or ill health. Citrine energizes and cleanses the Sacral chakra and, like Kyanite, it opens the channels of our intuition. 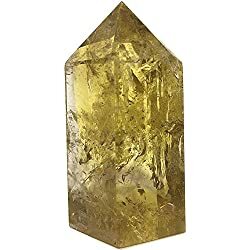 Citrine is said to be the crystal which attracts and enables personal joy, our sense of wonder, our ability to sense delight and boosts our enthusiasm. Linked intrinsically with Svashisthana it works on an emotional level and raises our self-esteem and our self-confidence. It is said that due to it’s emotional vibrations it therefore is a crystal that stimulates our brain function and strengthens our intellect. 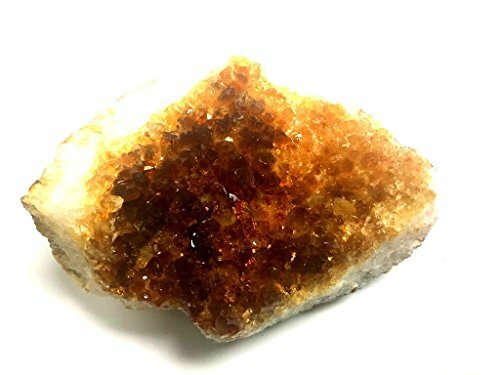 Citrine is one of the best Sacral Chakra crystals to promote motivation, to activate our creativity and to encourage our personal self-expression. 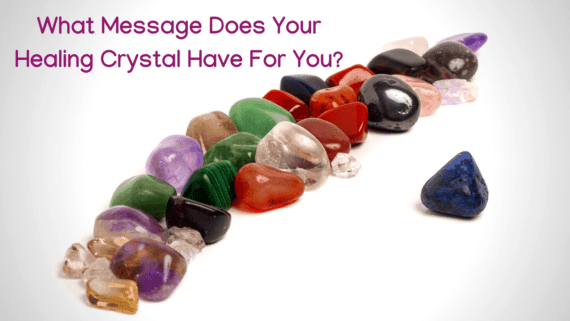 It is the Sacral crystals to use for enhancing concentration and revitalizing a tired mind. It helps us release energy associated with the development of negative traits, depression and phobias. Citrine is a great crystal to use with the Sacral Chakra because it is emotionally balancing. 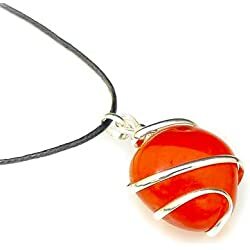 Orange Carnelian helps energize the Sacral and stimulates us to take action. Using Orange Carnelian will help with any indecision or procrastination and provides energy that gives us the courage to move forward. When you use orange carnelian a clearer sense of self-awareness is realized and this allows your inert spiritual energy to flow freely. This enables you to first identify and then achieve important life goals. Orange carnelian is one of the best Sacral chakra crystals to use if you seek to strengthen familial love. Carnelian provides us with protection from negative emotional energy such as envy, rage or resentment. When we reduce levels of negativity we gain the ability to truly accept a love of life. 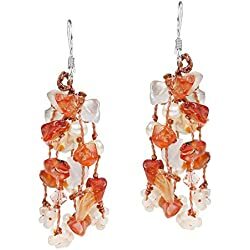 Carnelian will help you trust your own perceptions and judgement, to reduce feelings of jealousy and possessiveness and to see truths in emotional or romantic situations. 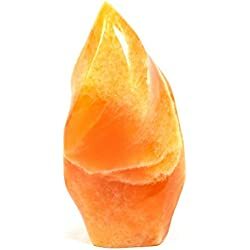 Orange Calcite helps our Sacral Chakra energies align our thought with our personal will, assisting us to take action towards achieving our goals. 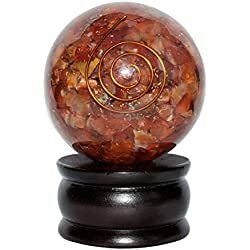 It is one of the best Sacral chakra crystals for overcoming depression or emotional traumas and is a wonderful crystal for optimizing our emotional health and vitality. Orange Calcite encourages our expression and creativity. 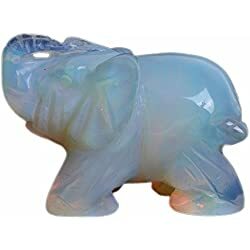 It is also a crystal which can help improve business and increase the flow of finances. 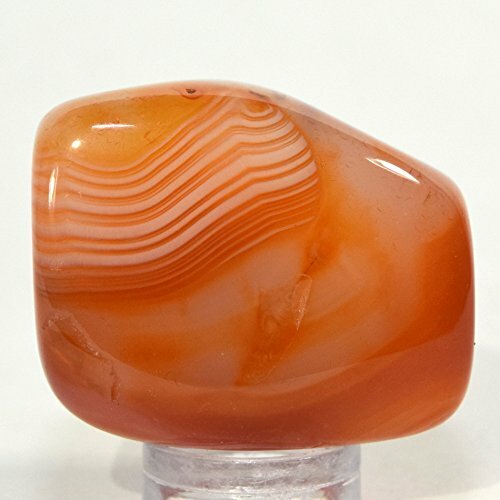 This stone enables the flow of positive energy, particularly in the areas of creativity and sexuality. 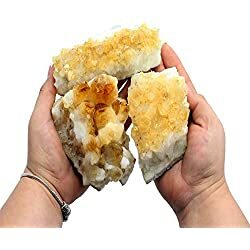 Like all calcite’s, the Orange Calcite has exceptionally strong energizing and cleansing properties. Orange Calcite encourages our playfulness, allows us to enjoy lightheartedness and gives us personal confidence. It is a catalyst for our inspiration and sparks our creative fire. 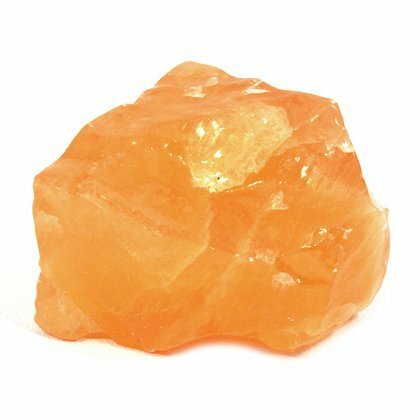 The orange calcite is a wonderful Sacral healing crystal for those trying to break free from negative habits and patterns or those who need to overcome shyness. 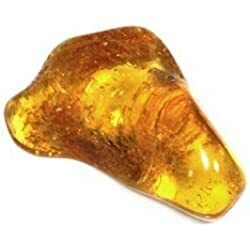 Amber is another powerful protector. It guards against energy vampires and provides a protective shield preventing us taking in others negative energies. It is an excellent aid for Empaths as it prevents them inadvertently taking on others physical or emotional pain. 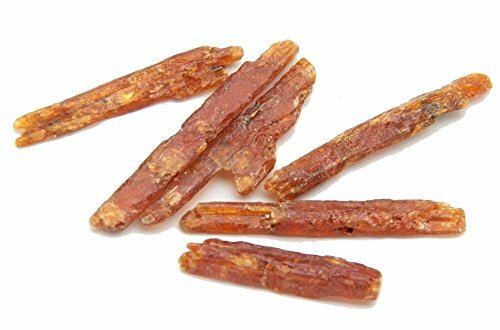 Amber is one of the best of the Sacral Chakra crystals for drawing disease from the body and aids in revitalizing physical tissue injuries. Amber also cleanses our environment and supports clearing the Sacral chakra. 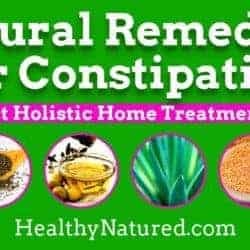 It draws all negative energy and trapped emotional energetic blocks away from the Sacral and then the body enabling our physical and emotional bodies to heal themselves. 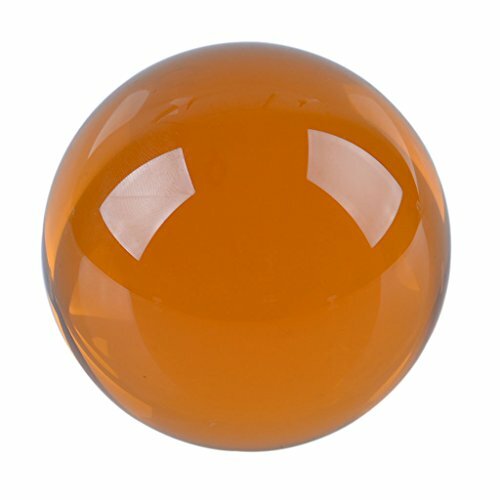 Emotionally, Amber aids in the reduction of stress, relieves depressive emotions, and stimulates positive decision-making. 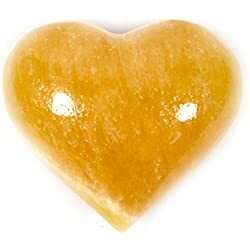 Amber helps us to achieve a positive mental state so that we are able to fulfill dreams and goals. Sacral Chakra Crystals Bonus – Moonstone. 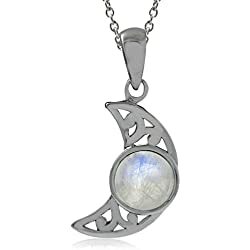 Moonstone is a unique healing stone because it can be used to open and soothe the Sacral chakra because of its connection with the moon. 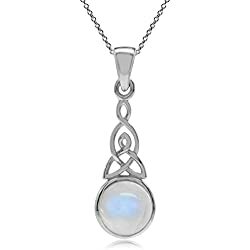 The healing properties of moonstone vary depending on the type and the coloration but all are good for Svadhisthana the Sacral chakra, especially those with Moon symbolic coloration of slight golden or yellow hues. 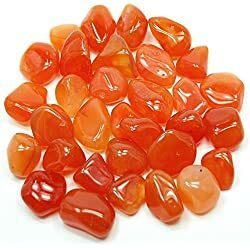 Tumbled Carnelian "Extra" (5/8" - 1") - 1pc. Great article! 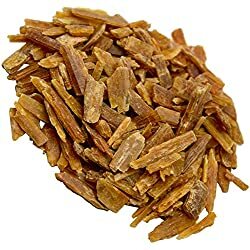 I think citrine is my favorite for the sacral chakra. Many thanks Faith. 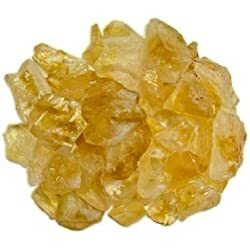 Citrine is a wonderful crystal, I adore it’s energies of joy and positivity.